The Presurfer: Why Do Pen Caps Have Holes On The Top? Why Do Pen Caps Have Holes On The Top? 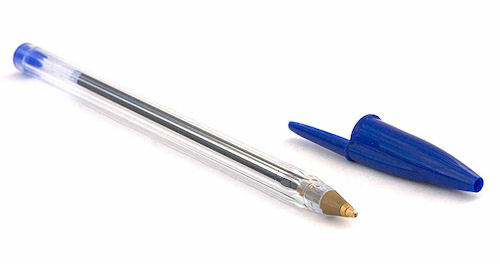 Why is there a hole at the top of your BIC pen cap. You've probably never given it much thought, or if you have, you've probably brushed it off as some random design feature that regulates air pressure or stops ink from drying out. And, yes, having a hole on the top does allow you to close the lid properly without the air pressure issue. But it also serves another simple yet ingenious purpose. The internet is full of "things you never knew" that (like this) I thought everybody already knew. At the same time there are things I never knew that it turns out everybody else already knows.